This was sent to me by someone whom I consider a true friend. I found it's words both insightful and inspiring and wanted to share it with my readers. Tell me who your best friends are, and I will tell you who you are. 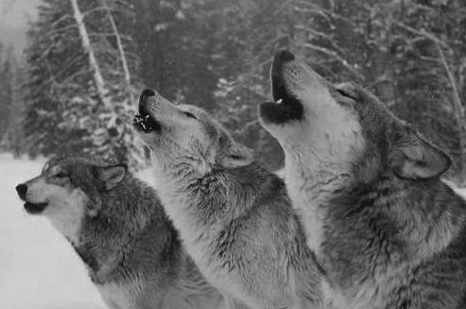 If you run with wolves, you will learn to howl. But, if you associate with eagles, you will learn how to soar to great heights. “A mirror reflects a man’s face, but what he is really like is shown by the kind of friends he chooses.” The simple but true fact of life is that you become like those with whom you closely associate --- for the good and the bad. The less you associate with some people, the more your life will improve. Any time you tolerate mediocrity in others, it increases your mediocrity. An important attribute in successful people is their impatience with negative thinking and negative acting people. As you grow, your associates will change. You will make new friends. Some of your friends will not want you to go on. They will want you to stay where they are. Friends that don’t help you climb will want you to crawl. Your friends will stretch your vision or choke your dreams. Those that don’t increase you will eventually decrease you. · Never receive counsel from unproductive people. · Never discuss your problems with someone incapable of contributing to the solution, because those who never succeed themselves are always the first to tell you how. Not everyone has a right to speak into your life. You are certain to get the worst of the bargain when you exchange ideas with the wrong person. · Don’t follow anyone who’s not going anywhere. Remember, with some people you spend an evening, with other you invest it. · If you ask someone who is going nowhere fast where to go or what to do, guess where you will be going ---nowhere, and guess what you will be doing---nothing. · Be careful where you stop to inquire for directions along the road of life. · Wise is the person who fortifies his life with the right friendships. It is said that a true friend is a second self, someone who wants as much for you as they do for themselves. · Remember everybody is not your friend and that’s OK. Recognize them for what they are and move on. They become somebody you just know. Associate yourself with people who are doing good things, positive things, the right things!